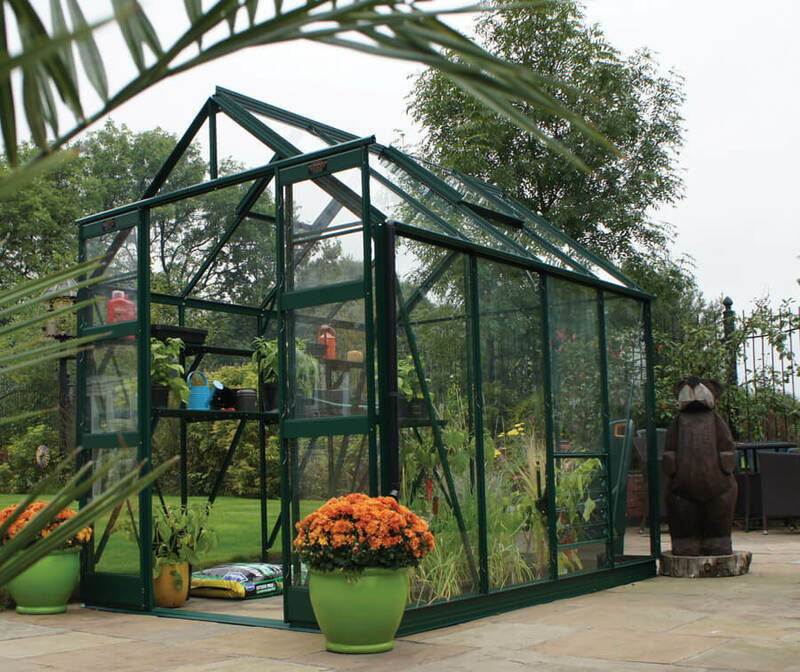 The 6ft 3ins wide Strata is a tall and effective greenhouse with extra eaves height, providing a stable, healthy environment where food and aesthetic plants can flourish. The extra space also allows for high-level shelving, maximising use of the roof space. The Strata is fitted as standard with a high double door and a low-threshold doorway for wheelbarrows or heavy pots. For prices, please get in touch and one of our expert team will be happy to help.